Ever wanted to look Zomibe bit? Then want no more! 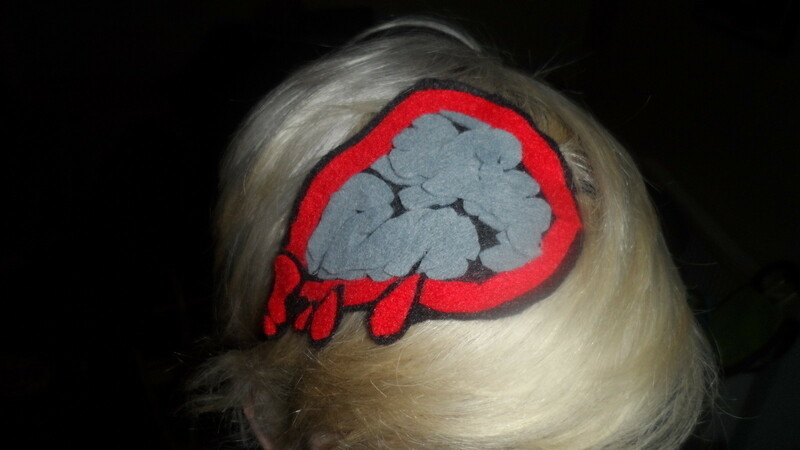 Sketch out your brain shape and cut out of felt. Assemble and glue everything together. such a fun idea! 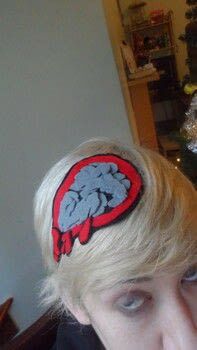 I love quirky hair pieces like this. 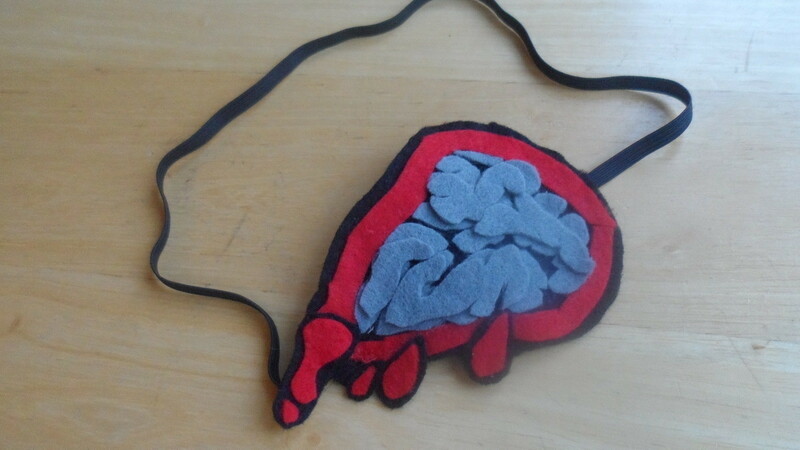 Thanks so much, I particularly love making kind of gross looking things out of lovely snuggly felt.